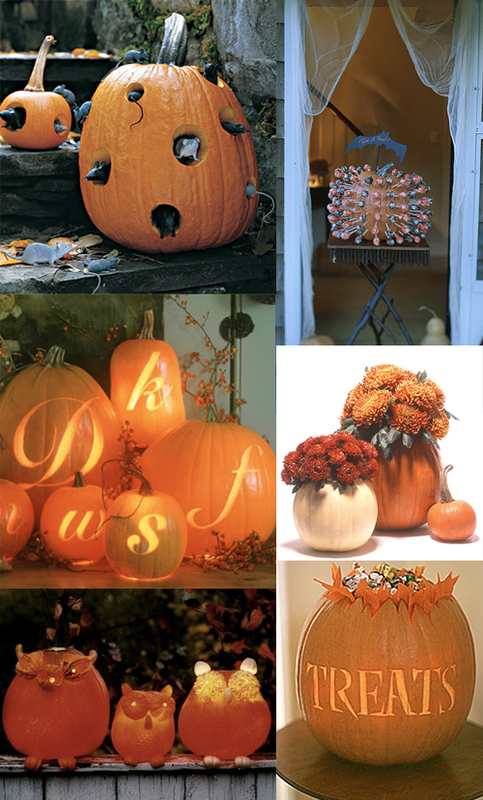 Every October I check out the latest pumpkin carving ideas on MarthaStewart.com and dream of being able to carve a pumpkin that doesn’t look like you know what. These are a few of my favs. Are you expert carvers? What do your pumpkins look like? 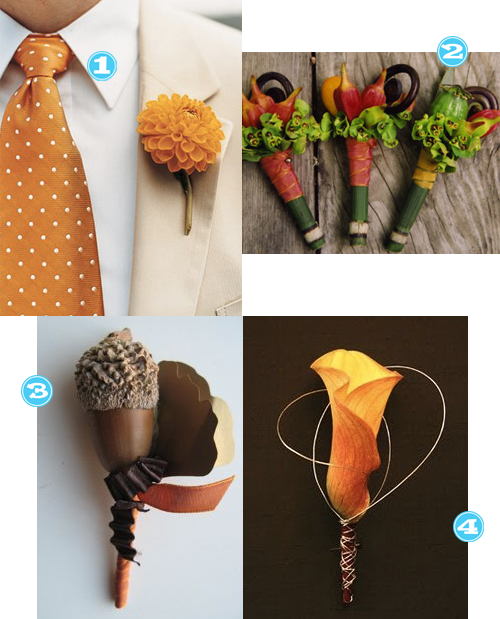 Next up, boutonnieres! Let’s pick a little something for Ed and the other men in this shindig. Der-This is simple and not too feminine, plus I frickin LOVE that tie! Court-Loves these. They are fun and whimsical. Nothing too stuffy for the groom, give him a break–he’s getting HITCHED! Rosenowfloral does custom and vintage. Can you beat it? AK-Very simple, mini calla to tie in the bride’s bouquet with a little bit of a twist of that twine stuff or whatever it is. LOVE IT. 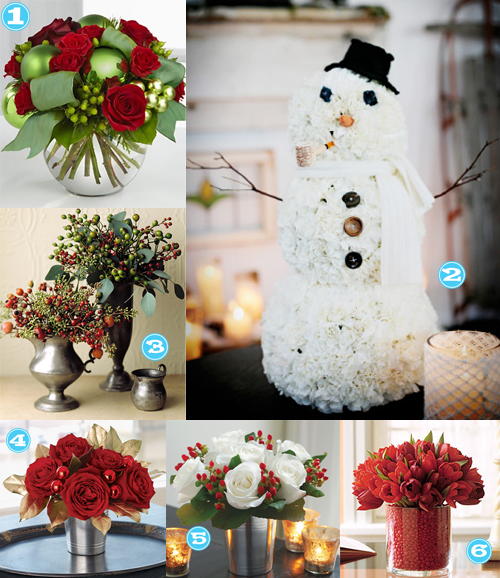 It’s a Christmas Floral Extravaganza! Do you guys set your table for Christmas dinner all nice and fancy? Do you have a centerpiece of some sort? I love all these selections and if you are crafty you could do them yourself for sure. My absolute fav and would totally try is the carnation snowman. Merry Christmas Ya’ll! What’s That? What’s That? It’s the Great Pumpkin! Are you dressing up your wee one this Halloween? You know, the one that probably hasn’t even had candy yet, but so you can take him around your neighborhood and get yourself candy? Or are you going to spend the money on a costume for one Halloween picture? Either way, I have found some TURBO cute costumes that are sure to drive the little one INSANE what with all the stuff around his face and making it difficult to walk and all. But GOOD LORD they are cute, aren’t they? 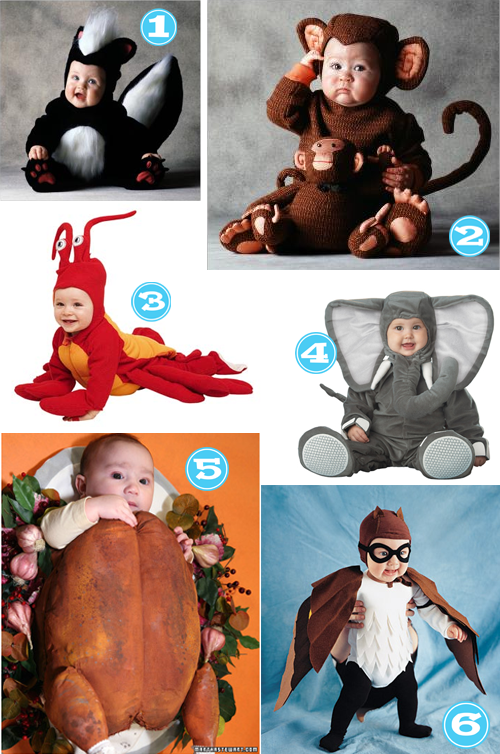 I think it’s a tie for me between the Masked Owl and the Roast Turkey…mmmmhmmm baby toes! !